The equity markets are a pump-and-dump scheme perpetuated by Wall Street, one that has gone on for decades, and the outcome will be disastrous for the typical North American. The problem is simple: too many paper assets backed by few or no physical assets, and few investors hold true stores of wealth. One of the best stores of wealth is silver. Gold is also a good store of wealth, but silver will outperform gold when the mainstream investor finally gets precious metal religion. Silver investment demand is set to totally overwhelm the market. Industrial demand has been falling, and will continue to do so. Industrial silver demand was 645 million ounces in 2010, but fell to 570 million ounces in 2015. 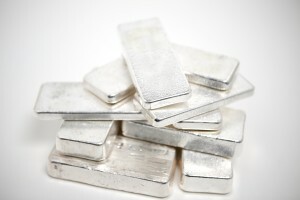 Industrial silver demand as a determining factor for the silver price is a non-issue; the key will be investment demand. When equity investors realize that they are the biggest holders of increasingly worthless paper assets in history, there will be a rush into silver. A doubling of the current market would be 480 million ounces of physical silver. A quadrupling of 2015 demand would equate to 960 million ounces. Noonan believes just a doubling of silver demand would totally overwhelm the market, because his calculations don’t include the huge inflows from mainstream investors. Silver ETFs added a whopping 500 tonnes in the past several weeks. Those who believe the silver market has been in a surplus don’t see investment as true demand like industrial consumption. Most industrial silver is lost forever, while a privately held silver coin is usually not for sale at any price. It makes sense that the Fed and Wall Street continue to downplay gold and silver, because a small percentage switch of investors into these metals would totally overwhelm the market and price. Fortunately for precious metals investors, it is only a matter of time. While Ponzi schemes can last for years, they all end in a disaster. The present insanity and extreme volatility in the markets are clues that the end maybe coming sooner than we realize.